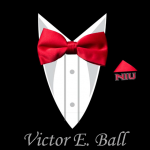 The Fourth Annual Victor E. Ball, NIU Athletics premier fundraising event, will be held on Saturday, April 27, 2019, at the NIU Naperville Conference Center. This special evening features special guests, outstanding entertainment, silent and live auctions, and a chance to hear the stories of NIU student-athletes whose successes in competition, in the classroom and in the community have lifted NIU Athletics to new heights. Funds raised will benefit NIU Athletics’ efforts to provide the full cost of attendance scholarships to over 400 student-athletes in 17 sports programs. Fans, friends, alumni and members of the community are invited to join this all-star line-up, along with Huskie head coaches, current student-athletes and administrators on Saturday, April 27th at the NIU Naperville Conference Center.